Much of the Midwest will see warm and welcomed weather today. 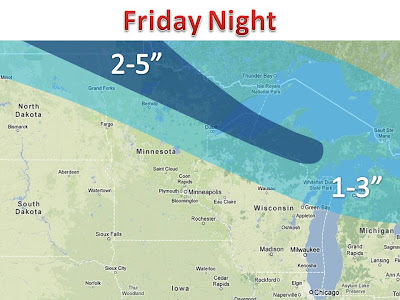 On Friday night a low pressure center will likely create some accumulating snow in northern areas. It takes a lot of factors to come together to get snow in April, but this system should do it. Most areas will see a slushy 1-3" with up to 4" or 5" in far northern areas. Meanwhile, rain will fill in to the south, along with the warmest air of the season for Saturday. Next week will also need to be watch as more snow is possible, this includes more southern areas.